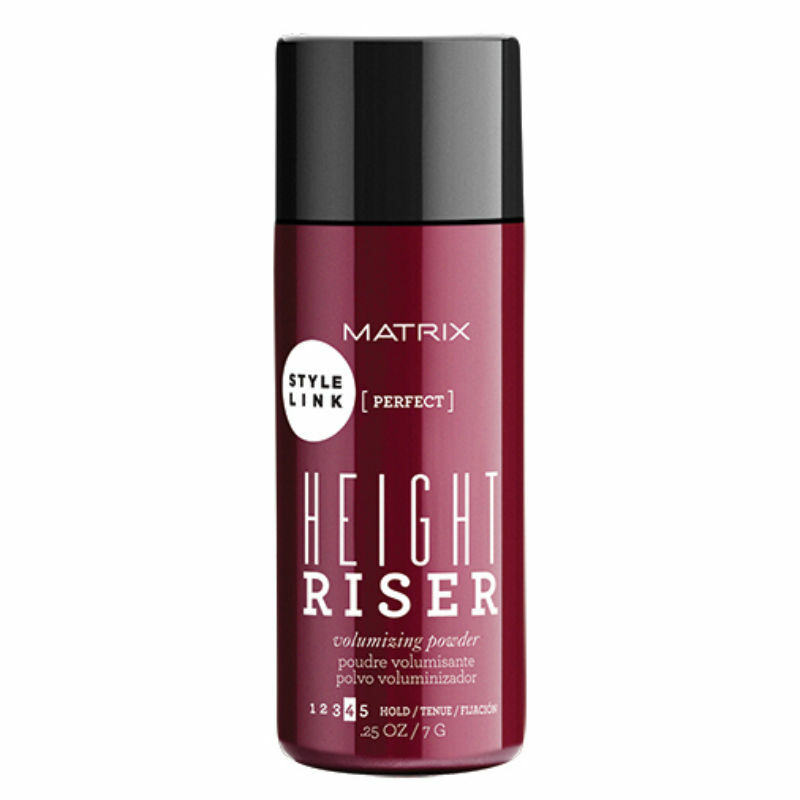 Height Riser form the Brand New Style Link range by Matrix is a volumising powder that doesn't dull your hair , but gives great body and texture. This fabulous little bottle replaces the Design Pulse Mega Dust. Directions: shake lightly over hair, massaging into your roots to give instant volume.